At least some of the counties in NYC are wrong. Brooklyn is Kings County and Staten Island is Richmond County. 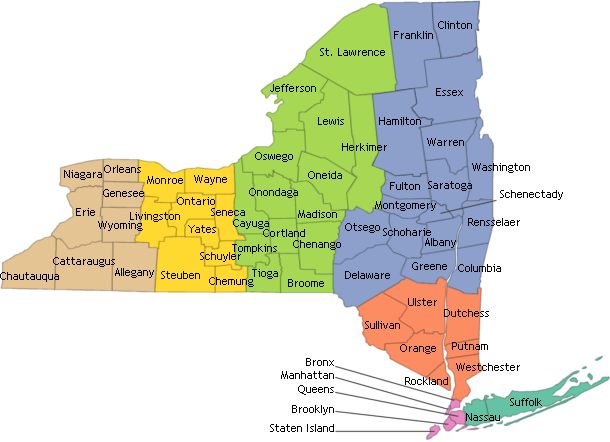 I think the other three boroughs use the same name for both the county and the borough. Manhattan is New York county. One of the few places with the same name for city, county and state. This is my favourite city I like times square and genuine cheese stakes the tourists don’t know about.